The problem with this thinking, as National Review’s Ramesh Ponnuru highlighted succinctly, was its implication that “tariffs on China are at once big enough to force it to make changes and too small to affect American consumers.” That seems unlikely. After all, if the point of tariffs is to actually change behavior, ones too small for anyone to notice seem unlikely to work well. Paraphrasing Ross’s comment was sufficient to demonstrate its incoherence. Yet many of the same economists and pundits who staunchly oppose the administration’s tariffs, and who would quickly dismiss Ross’s argument, endorse a virtually identical claim when it comes to one of their favorite policies—taxing carbon. The idea behind a carbon tax is to raise the cost of using fossil fuels so that people switch to alternatives, thus lowering greenhouse-gas emissions and mitigating the threat posed by climate change. Respected economists happily assert that a carbon tax’s effect on households would be miniscule and its net effect “pro-growth.” The complaints lodged aggressively against import tariffs are casually brushed aside for a carbon tax. The contradiction is inescapable. 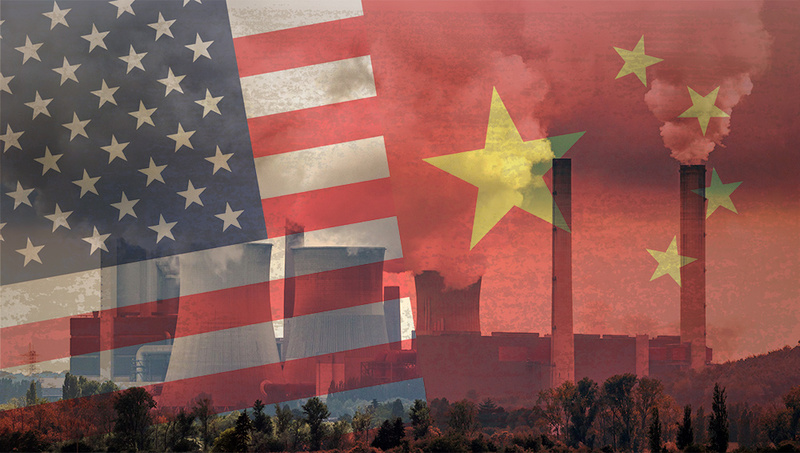 The words “tariff” and “tax” are practically synonymous—indeed, some call a carbon tax a “carbon tariff.” Like imports from China, fossil fuels are inputs to a wide array of goods and services used across the economy. And like a tariff on such imports, the entire premise of a carbon tax is to raise the cost of the affected goods and services in an effort to discourage their use and boost the competitiveness of more desirable alternatives. The complaints lodged aggressively against import tariffs are casually brushed aside for a carbon tax. The objection to Wilbur Ross having his cake and eating it too applies with equal force to the arguments of carbon-tax proponents. The notion that the tax will be adequate to change behavior yet will not impose a financial burden is incoherent. Only to the extent that people do feel the carbon tax’s pinch can it accomplish anything at all. It is here that carbon-tax proposals attempt to save themselves by promising “revenue neutrality.” Yes, the thinking goes, imposing a tax does have costs. But if we use all of the revenue from that tax to cut other taxes (thus spurring growth) or if we rebate it all back to households (thus making up for their higher costs) we can get the pinch’s effect without the pain. That is exactly backward. “Revenue neutrality” can fulfill its claim of fully compensating the burdened taxpayers only to the extent that the tax is paid and revenue generated. But payment of the tax occurs only when people continue to use fossil fuels despite the tax—in other words, when it is not achieving its objective of reducing greenhouse-gas emissions. The tax’s other consequences are what proponents care most about, but those effects leave them no revenue for offsets. Alongside the “revenue generation” effect, a successful carbon tax should cause two other things to happen: “avoidance” and “substitution.” The “avoidance” effect discourages the use of fossil fuels—say, by raising gas prices sufficiently to dissuade a family from taking a road trip. The “substitution” effect induces the adoption of costly alternatives, such as buying an electric vehicle because gas has gotten so expensive. All three effects of the tax, not just revenue generation, impose substantial costs on households. Avoidance imposes no monetary cost, but surely leaves the family worse off by diminishing its choices. Substitution can leave the household spending nearly as much as the tax would have cost, but with none of the extra money traveling into the government’s coffers. In neither case has the government generated revenue with which to cut other taxes or mail rebates. Thinking about the ultimate purpose of the tax clarifies these flaws. As the carbon tax increases, eventually driving fossil-fuel use toward zero as is its purported goal, people will alter their behaviors dramatically and adopt quite expensive alternatives. They will be doing less of what they want, and paying much more, yet the tax will cease to generate revenue at all. By definition, a carbon tax’s success requires it to become one that imposes large and unavoidable burdens for which people cannot be compensated. A carbon tax might still be defensible, if it could deliver substantial environmental benefits to justify its costs. Then again, a tariff might hypothetically be a good idea, despite its costs, if it delivered benefits of its own. What does not make sense is complacency about the former’s costs coupled with horror at the latter’s. If tariffs are sure to wreak havoc on the economy, so would a carbon tax; if a carbon tax is relatively pain-free, a tariff can hardly be the end of the world. If tariffs are sure to wreak havoc on the economy, so would a carbon tax; if a carbon tax is relatively pain-free, a tariff can hardly be the end of the world. The same goes for claims about potential benefits. One may be justifiably skeptical of the claim that tariffs will spur the rapid emergence of competitive, job-creating domestic industries that quickly drive down costs. But that skepticism sits uncomfortably beside the casual confidence that carbon taxes will deliver such innovation and cost reduction when it comes to emissions-free energy sources. Changing the economy’s structure is hard. Promising to accomplish that without disruption or burden is irresponsible, no matter how fashionable one’s cause may be. Oren Cass is a senior fellow at the Manhattan Institute and the author of the forthcoming book, The Once and Future Worker (November 2018).